L. Marie of the El Space blog is one of my main sources of inspiration and support. Although I had blogged on and off since 2006, my two previous efforts had ended in failure after only a few months. L. Marie and I met when we were students at the Writing for Children and Young Adults program at Vermont College of Fine Arts. We were in a workshop together in our third semester and she wowed me with the vivid descriptions and emotionally rich characters of her high fantasy for middle grade readers. I hope that high fantasy (fantasy set entirely in an imaginary world, drawing from fairy tales, and structured as a Hero’s Quest) makes a comeback and the publishing industry takes notice of this talented writer. 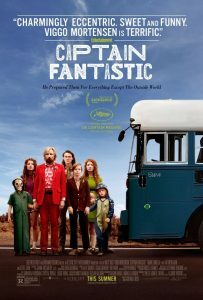 Captain Fantastic is a recent example of a quirky movie that I loved. It’s a good thing there’s an indie theater near me so I could see it. The most recent El Space made me think about the formulas and their longevity. L. Marie talked about the failure of some recent big-budget “sure things” based on YA bestsellers of the past several years. Part of the problem involved stretching one novel into two films, as was done successfully with Harry Potter and the Deathly Hallows but with ever-smaller returns for Mockingjay and, now, Ascendant. But perhaps movie viewers don’t like the fact that popular series are being milked until they’re dry, and all the movies are starting to look the same. I’m one of those weird people who’s not a fan of blockbuster movies, and over the years they’ve gotten more predictable and harder to tell apart. Maybe that’s part of my trouble with YA these days. I’m just too weird. 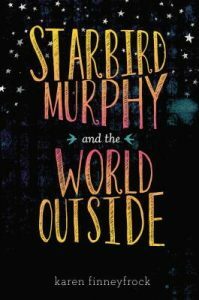 Anyway, give me a quiet, thoughtful foreign film or something quirky and small-budget like Captain Fantastic (which reminded me of a quiet, quirky YA novel I read for the Cybils a couple of years ago, Starbird Murphy and the World Outside). Am I the only one who liked Captain Fantastic? 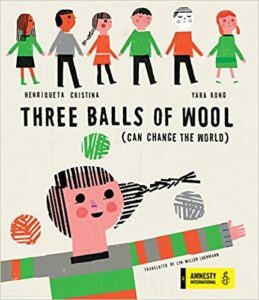 While seeing Captain Fantastic, I though of this book about a girl growing up on a farm run by a back-to-nature cult and how her life changes when she goes to the city to work in the group’s health food restaurant. More than that, I’m a fan of weird little movies from other countries. As a translator, I rationalize it by saying that even if the movie doesn’t work for me, I’ve learned a bit of another language. But learning another language isn’t the reason I keep returning to movies like No, City of God, The Secret in Their Eyes, and Gomorra (and other more recent ones too numerous to mention). It’s also why I look for books for teens in other languages to translate, even though I know they don’t fit into what the YA market is in the U.S. these days. I keep hoping that small presses will appear — as they have for international literature in translation for adult readers, as described in this important article geared to public librarians — or that the adult-oriented small presses will open YA imprints. Last winter I attended a panel of indie women filmmakers, who talked about making weird little films that explored characters and their moral dilemmas and had no easy answers. These are the films I like to watch, and these are the books I like to buy. Big corporations and the gatekeepers who serve them tend to turn their backs on the small, the character-driven, the quirky, and the nonconforming. They tend not to deliver huge profits, even with their appreciative cult following. Thus, they can be hard to find, though if you know where to look, you will find them. Thank you, so much, Lyn, for this post and your kind shout-out. You definitely inspire me. So glad we met at VCFA!!! I’ll have to look for Captain Fantastic on Netflix. 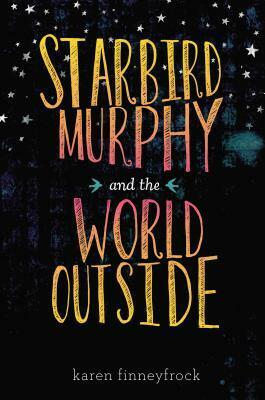 I’ll also look for Starbird Murphy and the World Outside. A quiet quirky book or movie will always get my attention. I’m grateful to live near an art house. Right now, they’re showing the summer blockbusters. Me too! And as far as the indie cinemas, or lack thereof, that was a principal reason for my husband’s midlife crisis that brought us to New York City. (The other was the nonexistence of avant-garde theater in Albany.) While the Spectrum 8 had some small budget films and delicious chocolate nut brownies at the concession stand, the few films they featured taunted us with what we never got to see. And like your art house, they had to devote some screens to blockbusters.